You'll be £15.25 closer to your next £10.00 credit when you purchase An Archaeological Study of Human Decapitation Burials. What's this? 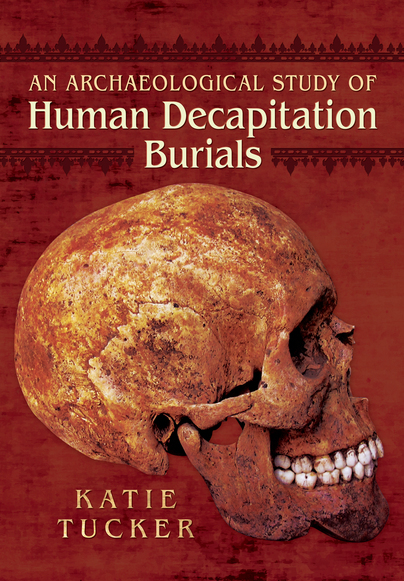 This is an in depth yet accessible study of human decapitation burials in Roman Britain. Dr Katie Tucker studied this subject for her doctorate and so is a leading expert in the area. Her findings go against conventional views of human decapitation burials of this period, which traditionally favour the view of a post-mortem removal of the head. Instead, Katie found the majority of the evidence did not support this theory and so concluded that most decapitations were likely to have been performed prior to death, potentially as a result of execution or human sacrifice. In order to gain a full insight into the ways in which these burials were formed and the reasoning behind these practices, Katie compares the decapitation burials to the burials of the wider Romano-British cemetery population. In doing this, Katie is able to better understand the differences between decapitated individuals and the rest of the population in terms of burial practice, demographics and ante-mortem health status. Decapitation burials are not only confined to the Roman period and so Katie also discusses the context of them in the Neolithic, Bronze Age, Iron Age, Early Medieval, Medieval and Post Medieval periods in order to assess whether there is continuity between periods. The author makes a good job of the data she's got, and tends to steer the debate away from the 'cult of the head' theories. Its origin, as a PhD thesis, is evident; in other words it is a thorough and somewhat dry read. The author's style is that of a post-mortem report - there is no 'sexing' up the evidence here. However, given the frequency of the phenomenon in Britain, from the Neolithic until the early medieval period, this detailed study will be of considerable help both to field archaeologists and to the osteologists attempting crime scene investigations. ... if archaeology interests you and you fancy a little gruesome but fascinating reading, you may very well find this to your liking. I did. A lot. Recommended. Of the many different burial practices, decapitation burials are one of the most intriguing. These unusual cases - with the skull placed elsewhere in the grave, removed from the grave entirely, or where cut-marks clearly indicate its separation from the body - are widely believed to be some form of burial ritual after death. Not so, Tucker argues. Drawing on her doctoral research, she re-examines the evidence and, focusing on skeletal trauma, comes to a different conclusion - that the majority of these decapitations were performed prior to death. The subject of decapitation is approached chronologically from prehistory to the medieval period, with a particular focus on the decapitation elsewhere within the Roman Empire, and also its presence in ancient European art and literature, broadens the scope. The technical language used will most benefit those familiar with skeletal anatomy, but the inclusion of colour photographs of a number of examples, as well as some unusual reconstruction drawings, certainly aids understanding. Katie Tucker is a Post-Doctoral Fellow in Human Bioarchaeology at the University of Winchester and a freelance osteologist, currently living and working in Berlin. She has many years of experience in the excavation and analysis of human remains from all periods and site types. Katie’s current projects include a detailed study of the skeletal remains from the leprosy hospital of St Mary Magdalen, The Archaeology of the Dead in Ethiopia in collaboration with SOAS, cemetery excavations in Romania for Transylvanian Bioarchaeology, and the analysis of commingled human remains from Neolithic sites in Jordan in collaboration with the German Archaeological Institute.